Spend an evening listening to Tim Brick perform, either fronting his band “The Gypsy Highway” or playing acoustically from atop a solitary bar stool and it’s not hard to pick out some of his musical influences. Outlaw Country artists like Waylon Jennings and David Allan Coe are there, and definitely a hint of Steve Earle. You might not realize though as he works his way through some of his original tunes (songs like “Beautiful Disaster” or “All You Leave With”) that the majority of his early career in music was spent as the front man for the Heavy Metal band Cellblock One. Brick carries over that showmanship and attitude to a much different audience these days. Tim’s time in Cellblock One spanned from 2001 until 2008, playing mostly in Massachusetts and southern New Hampshire where there was a more active Metal scene. The band released three albums, the self-titled third disc hit shelves in 2006 and contained tracks like “Gravedigger” and “War Inside My Head” – straight kick your teeth down your throat rockers. Brick was the chief song writer for the band and grew disillusioned with the cut-throat attitude in the genre. He also developed some issues with his voice from the constant abuse, often finding himself unable to even speak at the end of a busy week. 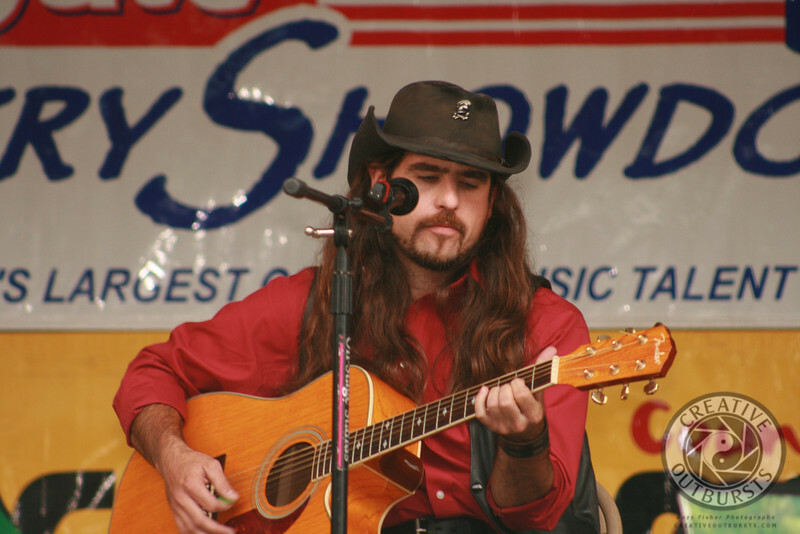 So, Tim found himself where he never imagined that he would….as a country musician. When people ask if he won that day his reply is indicative of his outlook on life. “No, but I came out a winner.” Many of the relationships that are most important to Tim now began that day. How often does someone meet five different people who will end up playing a huge part in their career all on the same day? JD Green, the Master of Ceremonies that day, is the morning host for Froggy. It is through Green’s show that many people have become better acquainted with Tim as he has become a fairly regular guest. Other connections made that day included fellow musicians Keeghan Nolan, Andre Maquera, Wayne Warner and Tracy Lord. All have made significant impacts on the music scene in Vermont. All are relationships that continue and grow. “Just last night I was up in Burlington at Parima and on one side of me was Tracy Lord playing guitar and Gary Spaulding was on the other playing the cajon. Had you told me that day that I was in the Colgate Country Showdown in 2008 that those guys would be playing with me I would have told you that you were out of your mind!” Brick was chuckling as he said it, but it was the laugh of the cat that ate the canary. “Remember, an audience has just as much responsibility in a show as the entertainer. It’s a big circle – the energy that they are giving each other.” Next time you see Tim’s name appearing near you, take the opportunity to go see him. I guarantee that he will leave the crowd with no choice but to complete the circle.